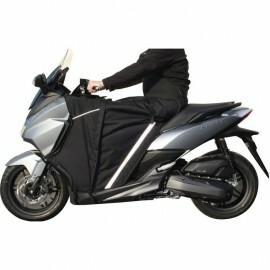 Luggage and accessories for motorcycles and scooters. Bagster Boomerang leg cover for Forza 125 with aerodynamic stiffener for stability even at high speed. Coated polyester design with fleece interior, adjustment strap and multi-function pocket. 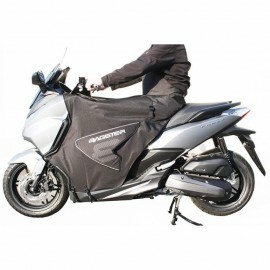 The Bagster Winzip leg cover is designed to adapt to the season: the weather changes but your cover remains fixed on your Forza 125. 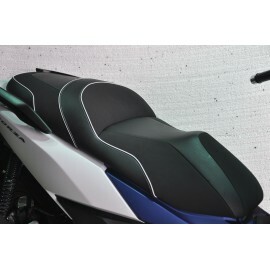 Bagster comfort seat for the Forza 125. Bagster fits your original seat with its well known and renowned process. Your comfort is greatly increased ! Send your seat and we send you back the high-end improved seat whthin 2 weeks.